Love and compassion, children of chaos, 02/2015. 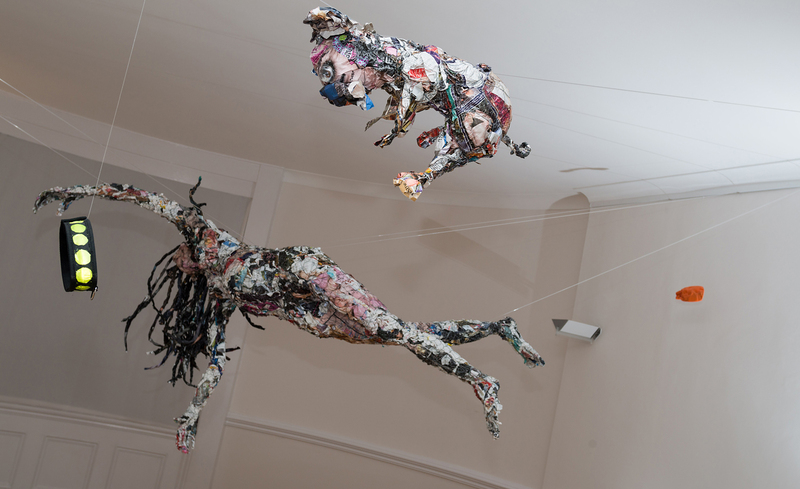 Room installation of two hanging figures; newspapers, magazines, wire, nylon thread. Site-specific installation as part of the exhibition Berlin–London: Contemporary Art by Woman, at German House (the former East German embassy), London SW1.